Sometimes there are words that you just cannot replace in your effort to adjust the readability of your writing. 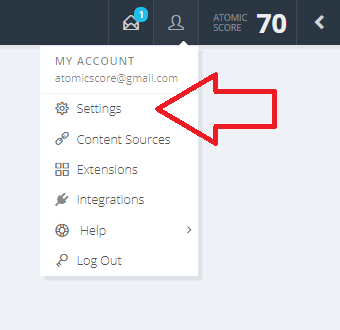 You can add them to your Ignore List to let Atomic Reach know to exclude these words from your readability feedback. 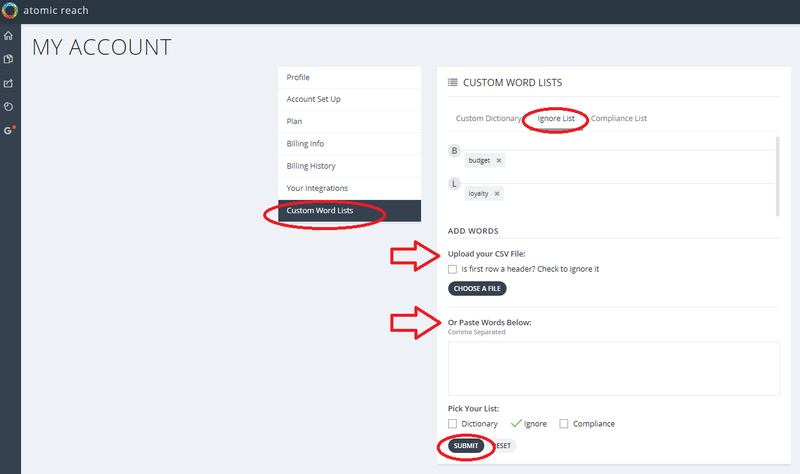 Add and manage words in the Ignore List. 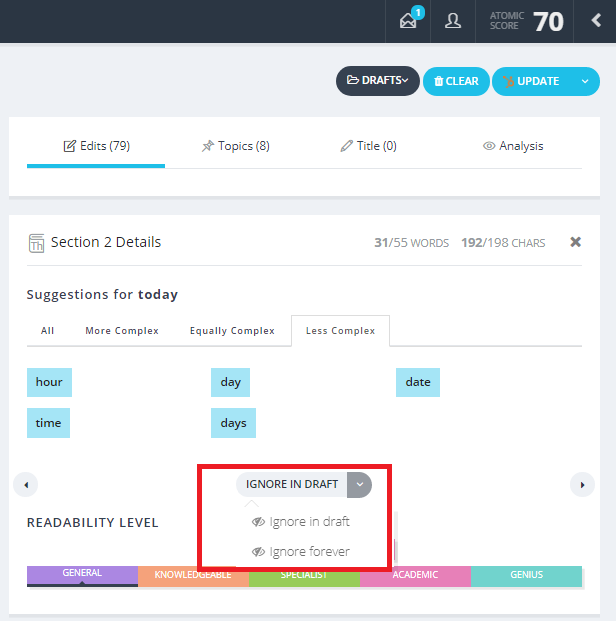 Click on the word that is highlighted for readability. Choose between the Ignore in Draft and the Ignore Forever option. Ignore in Draft means that this word is ignored during this writing session, while Ignore Forever means it is added to your Ignore List and will be ignored for feedback in the current and any future writing sessions. Step 1. Go to your account settings via the drop down menu at the top right. Step 2. Under Custom Word Lists, select Ignore List. you can see the words included in your ignore list. You can also upload your ignore list via a CSV file.Tip: Make sure the correct list is picked when uploading your CSV.